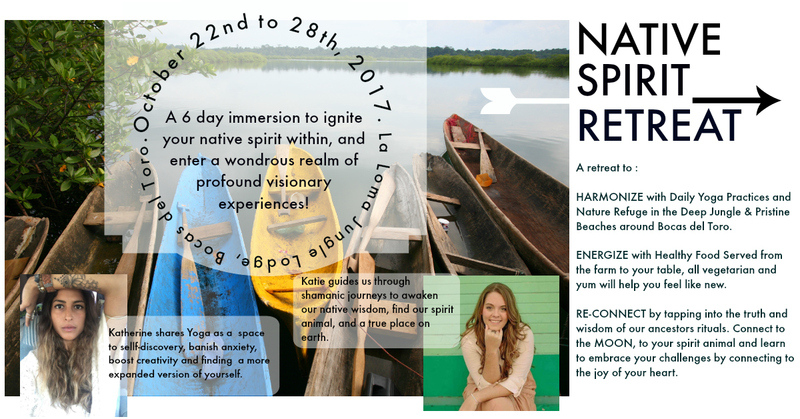 Happy New Moon : Unconditional love is Now | Yoga & Surf Retreat in November + A Native Retreat coming very soon. HomeHappy New Moon : Unconditional love is Now | Yoga & Surf Retreat in November + A Native Retreat coming very soon. Hoy es un dia muy especial para mí, hoy es el día de mi Boda. Esta Semana es de fiesta, no solo para Yorepa por nuestro casamiento espiritual, pero tambien por el significado de esto en la vida de todos. El signo de Cancer es el signo de las emociones, y como no estarlos si podemos ver que siempre el amor puede con todo y que esta todo si a veces somos malcriados y malcriadas, pero lo importante es mostrarnos como somos, crecer, pedir perdon, evolucionar, empezar de cero, pero ser auténticos y a veces eso significa dejarnos fluir y simplente Ser. Ser aceptados como somos es VERDAD importante esta semana, no es de extrañar que el ORGULLO LGTB se celebre alrededor de estas últimas semanas de junio 🙂 Bless ! Todays is a very special day, is the day of my wedding. Being accepted as we are is TRULY important this week, no wonder that PRIDE is celebrated around this last weeks of June. Bless ! La familia! 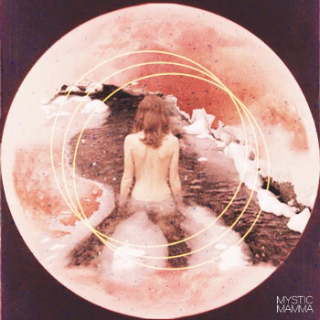 A generous, family-style helping of lunar lovin’ arrives on Friday, June 23, 2017, as the annual new moon in homespun Cancer serves up the warm and fuzzy vibes on an antique platter. Shower loved ones with appreciation, especially the supportive ladies in your life, since Cancer is the zodiac’s feminine sign. The Cancer new moon offers a healing moment to open our hearts and be more demonstrative, revealing our sensitive sides. With Cancer season in full swing until July 22, home and family will be highlighted under this lunar spell, as the new moon helps us start a fresh chapter with the ones we love most. 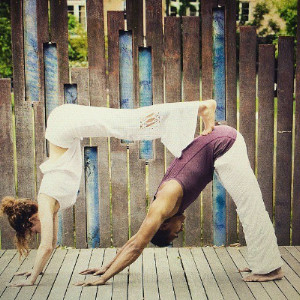 Strenghten your Relationship: Start A practice Together ! With its calming and happiness-boosting benefits, there’s no doubt that a regular yoga practice is good for all relationships. And when you practice yoga with your partner, it takes those benefits to the next level. At its core, partner yoga is designed for the physical and psychological connection between you and another person. The focus on stretching is still there, but it’s less important—the poses are more about cultivating energy between you and your partner. In today’s day and age, when couples are often so busy connecting with their smartphones that they forget to connect with each other, partner yoga is key. Don’t get me wrong, I’m all about going out to dinner—but there’s nothing wrong with including a little bit of yoga in your next date night. How to keep Up when you need to be flexible and change your diet. I am getting married in two days, maybe less haha, and the sharing and moving around had made me eat way more bread and sugar than I like but Life I think you should love right and its only ONCE. I seek balance and a great advice my sister Erin Moens told me was keep the probiotics around. We all know we’re supposed to watch our sugar intake. Eating too much sugar (especially refined sugars) can lead to some serious health problems like insulin resistance, type 2 diabetes, Alzheimer’s, obesity, heart disease, and even cancer. It’s also very addictive and can damage our gut health by promoting the growth of unhealthy bacteria. 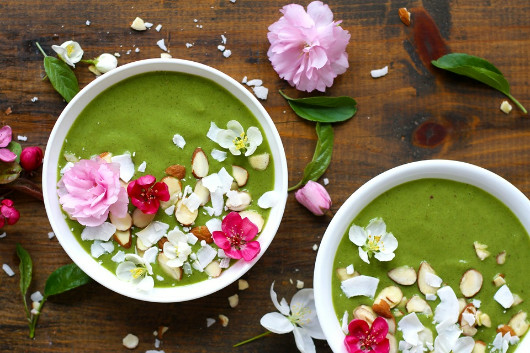 HERE is to one amazing Smoothie Bowl that will leave you glowing this New Moon, thank you #clean. Cancer is one of my favorite signs, because it brings me down to my heart. 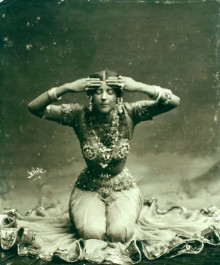 Me, perceived as a whole hearted person – like my mother in law says- our strenghts are also our weaknesses and Cancer brings us to see that and even though there are sides that are not so pretty to our humanly constant and desperate need to label things. That everything is OK and we are OK and to nourish our feelings, be blessed by our tears but also take responsibility for them. Now we get to see that love is all and our work is to LOVE it ▽. We took the best articles and tools here for you so that you can take advantage in the best way of this great period. 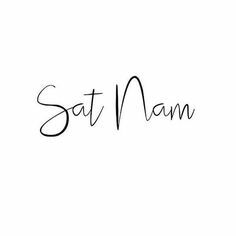 I recently hear this and absolutely loved it, I feel that to sing mantras around the New Moon is the most absolute beautiful seed you can plant for yourself and the planet. Let this tunes inspire you alla round. Super contenta de anunciar este nuevo proyecto …. The Yoga Love Project ,con Katie ¨Awakened Wild Child¨nos unimos nuevamente para encontrarnos con nuestro espiritu nativo i volver encender esa llama dentro de nosotros… siempre sanando de adentro hacia fuera, conteniendonos en un solo envase como comunidad y sanandos desde ahí, desde la Tierra. Jai Ma que la fuerza este contigo, desde las tierras nativas. Nos encantarian que nos acomapañaran en este retiro de mucha magia y amor. Super happy to announce this new project …. The Yoga Love Project, with Katie ¨Awakened Wild Child¨ they unite again to meet our native spirit or Kindle that Light within us … always healing from the inside out, holding us in a single container as community and healing from there ‘ from the earth – Jai Ma! from the native lands, may the force be with you. We would LOVE for you to accompany us in this retreat of much magic and love.